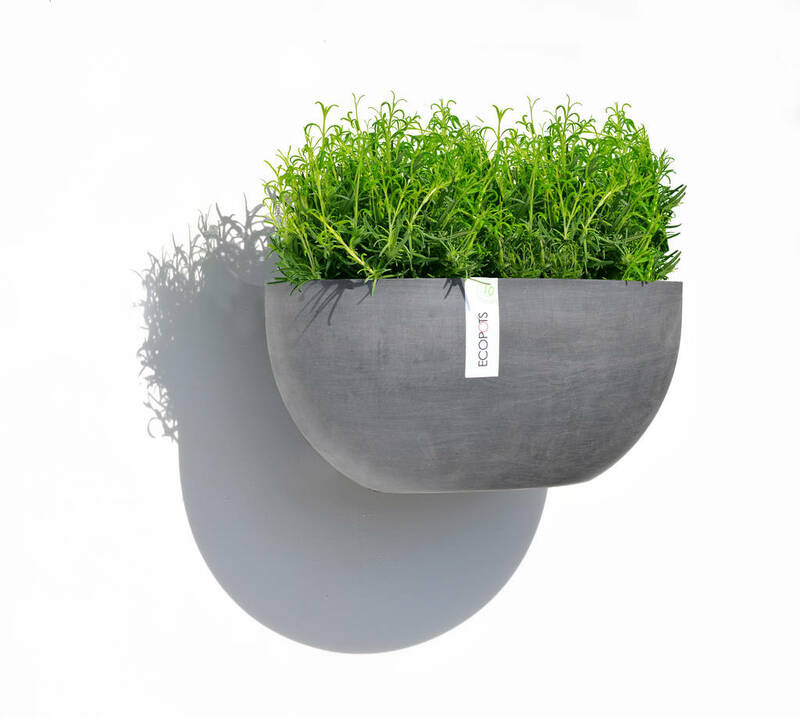 A beautiful, elegant and environmentally friendly wall-mounted plant pot, made from recycled materials. 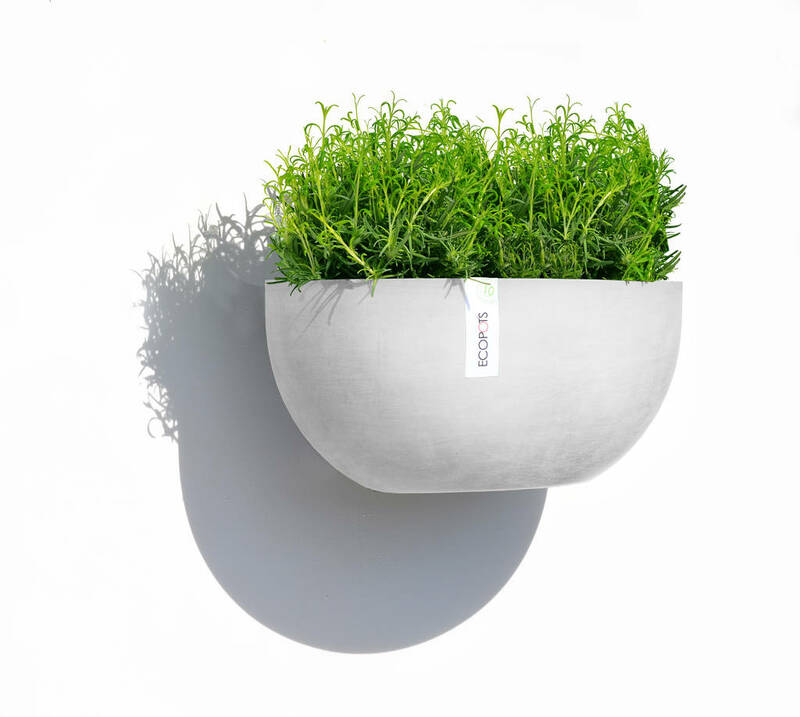 The perfect product for people who are looking for timeless, environmentally friendly design for home, garden or balcony. The Sofia Wall can, thanks to an innovative and easy suspension system, be hung 'blind' from a wall. Changing the plant or need to give water? Just take the pot off the wall. Easy, handy and super sleek. Perfect for vertical gardening. The ECOPOTS Sofia Wall is available in three attractive colours: Grey, White and Terracotta. Recycled PET bottles. These materials mean that the pot is shock and shatter proof, whilst also being resistant to UV radiation and frost!